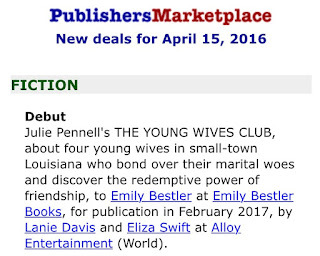 I've been waiting to announce this news technically since I was a little girl when I started writing my first book called "Paradise Pink" (inspired by a paint chip color I found while my mom was doing some shopping at Home Depot.) My writing has evolved a lot since the "Paradise Pink" days. I don't even remember the plot of the book, but it was something to do with a girl re-doing her bedroom (so cutting edge, really — I mean, it was even before HGTV!) I've had a few other attempts which I call "practice books." But I never submitted them or even actually finished them. Anyway, I'm burying the lede, as my journalism professor would say. 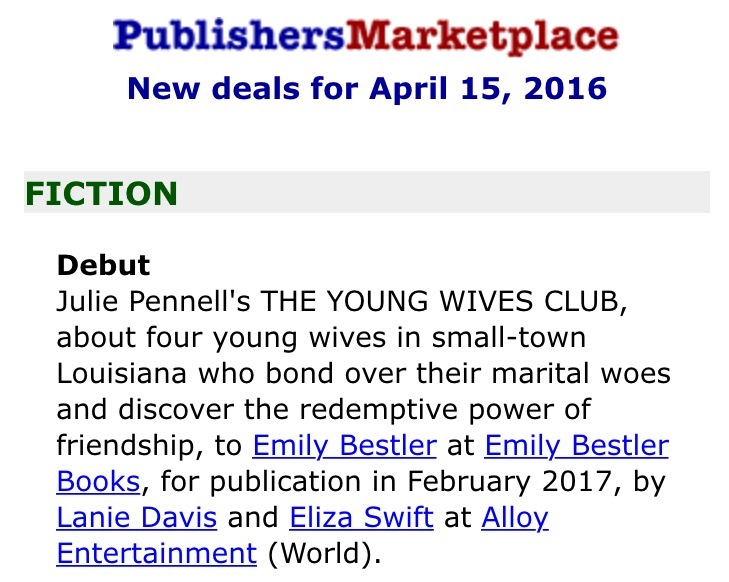 I'm excited to announce that I wrote and finished a novel called The Young Wives Club, and it's actually going to be in book stores next February thanks to the wonderful Emily Bestler at Simon & Schuster and the amazing team at Alloy Entertainment! When Christopher and I were making the decision to move to Oxford, it wasn't just about his career — I wanted to do this for mine, too. 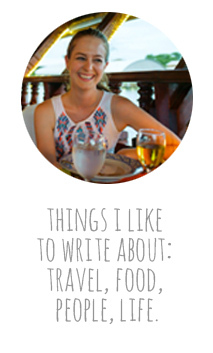 I started writing the book over there, and it was such an awesome experience. Even though it takes place in small-town Louisiana, the Oxford landscape was a perfect place to write it. Fun fact: there are a couple of things in the book that randomly were inspired by my cafe experiences and/or the people that I met over there. I can't wait to point those out when the book is out! Pretty neat, right?! I'm really proud of this baby and I can't wait you to meet these characters — maybe because they're a figment of my imagination, but I'd totally be friends with these girls and hope you'll feel the same way. Stay tuned for more info on the book! I'll keep you updated here (sign up for emails so you'll never miss a post) and on Twitter. And thank you from the bottom of my heart for all your support. I couldn't have done it without such a loving community of friends and family. Cheers!